How big is San Sebastian? 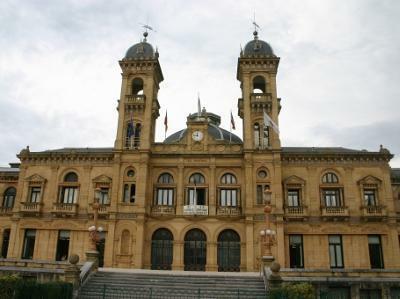 San Sebastian, a town located in the Basque Country in Northern Spain, covers an area of around 60km². 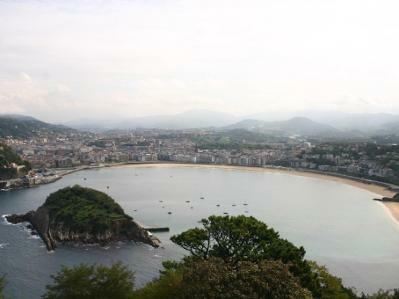 San Sebastian is home to over 186,000 people. The languages spoken here are Basque and Spanish and the currency used is the Euro. 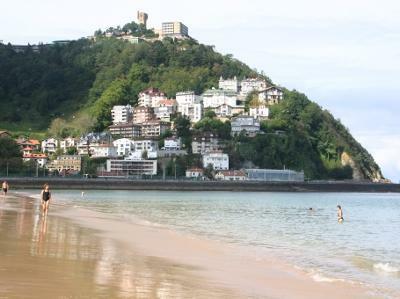 What is San Sebastian’s top attraction? 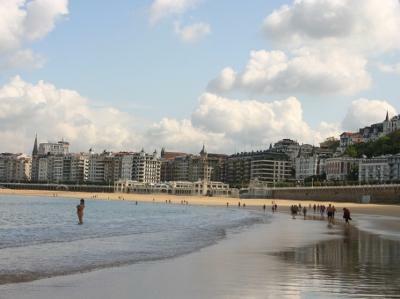 San Sebastian’s top attractions are its beaches. From Monte Igueldo to Parte Vieja, sandy beaches stretch out along the Bahia de La Concha. Both Playa de La Concha and Playa Ondarreta attract a large number of locals and visitors who come to lie on the beach, walk along the strand and swim in the sea. Over in Gros, Playa de Zurriola is a favourite with surfers. Beginners and more advanced surfers come here to enjoy the waves, while swimmers and sunbathers also frequent this popular beach. So it’s a beach town. Any other attractions? Definitely! For starters there’s the Aquarium on Plaza Carlos Blasco de Imaz. 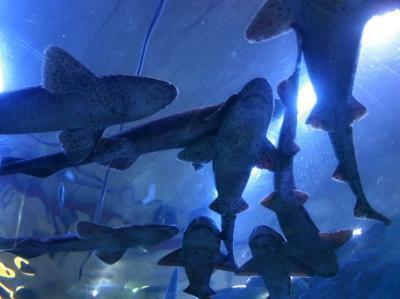 In its 32 different tanks, this well-liked aquarium houses over 200 species from sharks to seahorses. The highly interactive kutxaEspacio de la Ciencia, San Sebastian’s science museum, is definitely worth a look. Here you can literally reach out and touch science due to the huge number of interactive experiments for you to try out here. The labyrinth of mirrors is particularly cool, as is the awesome mini-tornado in its glass case. Eduardo Chillida is a very famous local artist and his work is celebrated in the open-air Museo Chillida Leku. Covering around 13 hectares, this museum park is located about 20 minutes from the city centre by bus (take the G2). Here you’ll see more than 40 of Chillida’s stunning sculptures in concrete, steel and more. 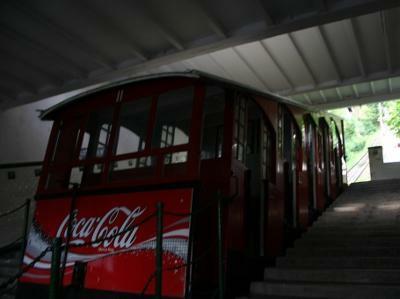 The best way to get to the top of Monte Igueldo is to take the funicular. It doesn’t take long to reach the top and on the way you’ll get some cool views. Up on the mountain, you’ll find a number of attractions for kitschy carnival rides to stunning views of San Sebastian spread out below. If I’m looking to save my cash, where can I visit for free? 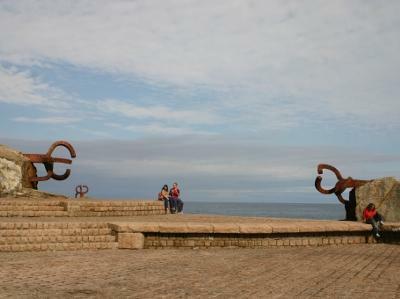 Check out the Peine De Los Vientos or Wind Comb sculptures at the end of Paseo Eduardo Chillida. Created by Eduardo Chillida in 1977, these three sculptures provide a number of cool photos ops. There are also lots of steps around them where you can pause to appreciate the surrounding sea view. It’s free to visit Buen Pastor Cathedral, an impressive Gothic Cathedral with a spire which stretches up for 75 metres. Inside the cathedral, you’ll be able to enjoy the beautiful stained glass windows and various pieces of religious art. 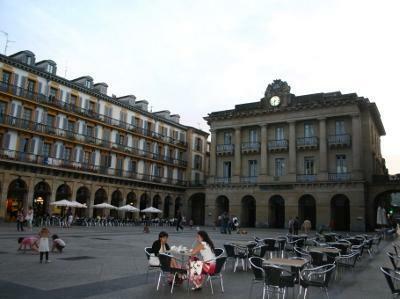 Plaza de Gipuzkoa is one of San Sebastian’s most picturesque squares and it doesn’t cost a cent to visit. Sporting its own duck pond and hedge clock, it also has a cool meteorological station to check out, complete with star charts and more. For a combination of modern stores and traditional markets, check out Mercado de San Martín on C/ de Urbieta. Brands to be found here include Zara, Bershka, the Body Shop and Fnac, while in the market area you’ll come across counters selling everything from fish to jamón. Another market-and-mall combo, La Brexta, is found at one end of San Sebastian’s famous Alameda del Boulevard in Parte Vieja. Inside you’ll find a selection of stores offering clothes, shoes, jewellery and more. There’s a traditional food market in the lower level, offering a huge variety of foodstuffs including cheeses, meats and fish. Along Centro’s Avenida de la Libertad you’ll find a number of top-notch shops like upmarket department store Auzmendi, along with big name brands such as Blanco, H&M and Pimkie. In Parte Vieja, lots of the narrow streets boast a great selection of boutiques and funky little stores. 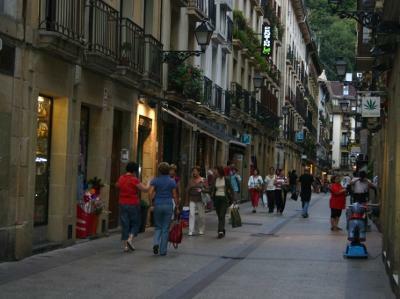 Calle Narrika, for example, has a number of alternative shops alongside the more typical touristy fare. There’s no one street to go to for all of San Sebastian’s bars as they’re spread out amongst the city’s neighbourhoods. Both Gros and Parte Vieja have their share of nightspots, while streets like San Martin also have their fair share of funky bars for you to check out. As always, it’s best to have some ID with you; however, it’s pretty unlikely that you’ll be asked for it. For a funky little bar with great music and a friendly crowd, check out Dylan on C/ San Martin. It’s popular with a younger crowd and offers a great selection of reasonably priced drinks which can be enjoyed on one of the comfy couches or window-side seats. Be Bop on Paseo de Salamanca is a dark and inviting bar which plays a tempting mix of jazz and Latin music. Plenty of floor space means there’s room to dance, while the bar serves up colourful cocktails at affordable prices. Right in the heart of San Sebastian’s Parte Vieja, Bar Txurrut on Plaza de la Constitución boasts a particularly popular array of outdoor seating. Here people sit and chat while enjoying a wide variety of drinks and looking out at the square. One particularly interesting offering here is the carajillo, a hot Spanish drink that mixes coffee with brandy or rum. Anything to do that doesn’t involve alcohol? If you’re looking to do something a little more cultured with your evening in San Sebastian, then you could check out a performance at the Victoria Eugenia Theatre on C/ República Argentina. The theatre was initially established in 1912 and today plays host to a wide variety of events including dance, classical music performances, theatrical shows and concerts by contemporary bands. Is it expensive to eat out in San Sebastian? With the large selection of cafés, restaurants and bars serving great food in the city you should have no problem finding somewhere to suit your budget. Well, one of the best neighbourhoods to head to when you’re feeling peckish is Parte Vieja, San Sebastian’s old town area. 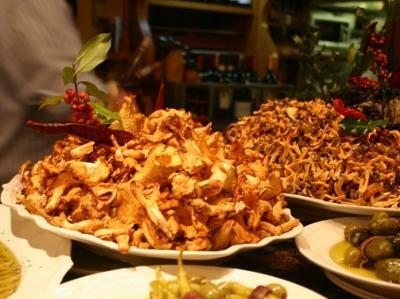 Here you’ll find a great variety of restaurants along with some of the best pintxo bars in the city. Pintxos are like tapas and are the local specialty so you should definitely try one or two while you’re here. Over in Gros, another popular neighbourhood, you’ll come across a top-notch selection of eateries, boasting pintxos, bocadillos (tasty and filling sandwiches) and much more. Lots! If you’re looking to sample some of San Sebastian’s famous pintxos, there are some bars you should definitely include on your route. If you’re looking for good-value, contemporary pintxos, check out Bar Borda-Berri on Fermin Calbetón. Popular with a young crowd, some of the specialities here include mushroom risotto and stewed beef cheek. Nestor Bar on Pescadería is a little more traditional and is the place to go in San Sebastian for tortillas de patatas. This well-loved dish is extremely sought-after and at this bar they only come out of the oven twice daily - once at 1pm and again at 8pm. Make sure you’re on time if you want to try a piece. For a great lunch place near Zurriola beach, check out La Bodega Donostiarra on C/ Pena Y Goni in Gros. Here you’ll find some of the best bocadillos in the city. In these sandwiches made with freshly baked baguettes, you’ll find a variety of fillings including fresh tuna, tortillas de patatas and more. It's great-value food served up in a friendly and relaxed atmosphere. In San Sebastian, the emphasis is on handmade food and this is evident even in the city’s burger bars. Take Va Bene Disco Burger on Blas de Lezo 4 for example. Here the food is a cut above the typical fast food fare, with handmade burgers available with a variety of toppings. Lunch and dinner are eaten later here than they are in many places in Europe so keep that in mind when choosing when and where to stop for lunch or dinner. Also, a good tip for choosing a pintxos bar is to look at the bar’s floor. If you see plenty of napkins crumpled up on it, then chances are it’s a good spot that sees a lot of turnover and offers sought-after pintxos. What’s the main form of public transport in San Sebastian? That would be the bus. There’s a pretty extensive network of buses operating throughout the city. Theses buses offer a cheap and efficient way of getting around the city and to attractions such as the kutxaEspacio de la Ciencia and the Museo Chillida Leku. While you can get to most parts of the town on foot, if you want to visit some of San Sebastian’s coolest attractions you will have to use some form of public transport.